What is today's top offer for Figures Toy Company? Today’s top offer is 'KISS Wrestling Action Figures Starting At $29.99 '. 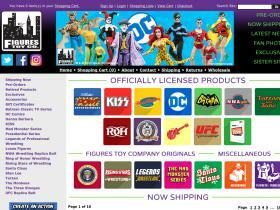 Find the offer, click on it and follow the link to the offer page at figurestoycompany.com.